This page discusses California’s LGBT & sexual orientation discrimination laws. Here, you will learn the basics of what CA employment law says about sexual orientation discrimination. But this page should not be a substitute for speaking with a discrimination lawyer. If you feel that you are a victim of discrimination because you’re gay, bisexual, lesbian, or transexual, talk to an employment lawyer as soon as possible to evaluate your legal rights. Who Does the FEHA Protect? 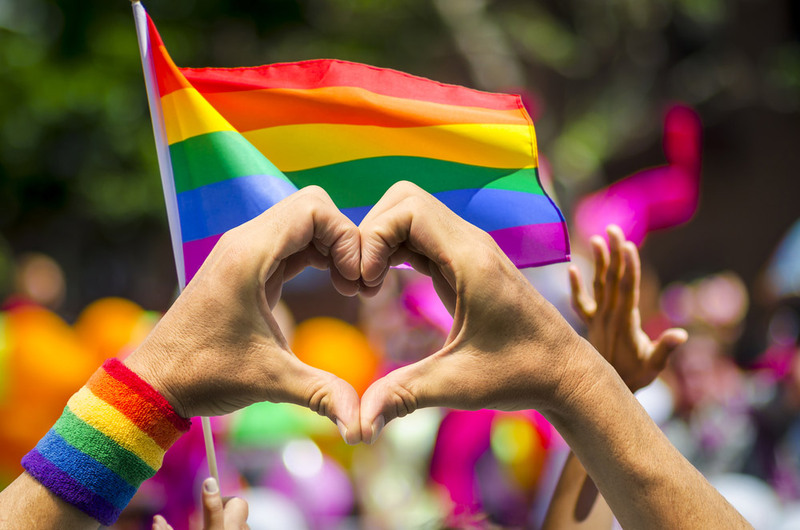 What Can Be Recovered in a Sexual Orientation Discrimination Lawsuit? Discrimination still happens at work. Even though California requires that everyone, including gay, lesbian, bisexual, and transgender individuals, is given equal and fair opportunities. The California Fair Employment & Housing Act (“FEHA”) § 12940(a) establishes the fairness that should be practiced in the workplace. No person should be discriminated for any particular trait, including their sexual orientation or preference. The California Fair Employment & Housing Act protects all the people of California from unlawful employment discrimination. Effective since April 1, 2016, FEHA regulations are to be followed by companies who have more than 5 employees. New regulations establish that the 5 employees do include those that are on leave, as well as out-of-state employees. Generally, businesses with less than 5 employees are not subject to FEHA regulations, but should still be mindful of the guidelines as constitutional claims may still be made. Additionally, volunteers and family members who are employed by their parents, child, and spouse are not protected by these laws under FEHA. FEHA’s protections are also extended to people who are associated with another person that is protected by the FEHA. An example of this extension is if an employee is fired because he is related to a gay or lesbian individual; he would be able to sue for sexual orientation discrimination. What does “sexual orientation” mean according to CA employment law? Simply put, folks who are LGBT are protected. There are several definitions that apply here. Some are found in the government code, but others in FEHA’s Code of Regulations. What Can Be Recovered in a Discrimination Lawsuit? If you win your discrimination lawsuit you may recover the income that was lost because of the discrimination. If your salary was $40,000, you may be able to recover $40,000 for every year you are not able to find another job. Compensatory damages – This includes the loss of wages and benefits from your employment as well as any other economic disadvantages that occur because of the sexual orientation discrimination. Emotional distress damages – As a result of discrimination, you may be suffering from extreme emotional distress. All facts and circumstances surrounding this will be considered in determining a recovery amount for emotional damages. Punitive damages – The jury will consider the discriminator’s misconduct if it was particularly outrageous or malicious. Punitive damages go beyond simple compensation and is awarded to punish the defendant. Attorney’s fees – If you win your case, the Judge may also award attorney’s fees. Most of the time, discrimination lawsuits do not go to trial, they settle. Settlements tend to be confidential, so there is no data to provide for average recovery amounts, but most discrimination cases settle for less than $50,000. All cases are different and based a variety of variables. You should not expect your recovery amount to be similar to other cases. The best way to determine what is possible with your specific case is to talk to a discrimination lawyer. Most employment lawyers like Mr. Robertson give free consultations. When you have been discriminated against at work, you may have the right to sue your employer. However, there is a time limit in which you must file a lawsuit. You’ll have one year from the date of the discriminatory act to get a right-to-sue letter from the Department of Fair Employment and Housing (“DFEH”). Usually, your lawyer will get this letter for you, however you can also go directly to DFEH website and request it yourself. Public entities do have a different statute of limitations. If you were let go from a public entity, you may have as little as six months. Statute of limitations vary, so it is highly recommended that you get in touch with a lawyer as soon as possible. How Much Does a Sexual Orientation Discrimination Lawyer Cost? When you work with a discrimination lawyer, they are paid on a contingency fee basis. This means that your case will be given the attention that it deserves because the lawyer will only be paid if your case is successful. The amount paid to the lawyer is a percentage of your earnings. The advantage of having a contingency fee based lawyer is that you won’t have to pay money out of your own pocket, but still get someone to fight for you. The law firm that takes on your case would take care of any expenses of the case, then recover these costs after a settlement or verdict is awarded. If you’ve been discriminated against because you are LGBT, call Mr. Robertson or another California employment attorney for a free consultation. There will be no charge or obligations to talk. Most case evaluations are done right over the phone. Please note that no client-attorney relationship is formed with this consultation. That only occurs after a signed attorney-client fee agreement has been made.